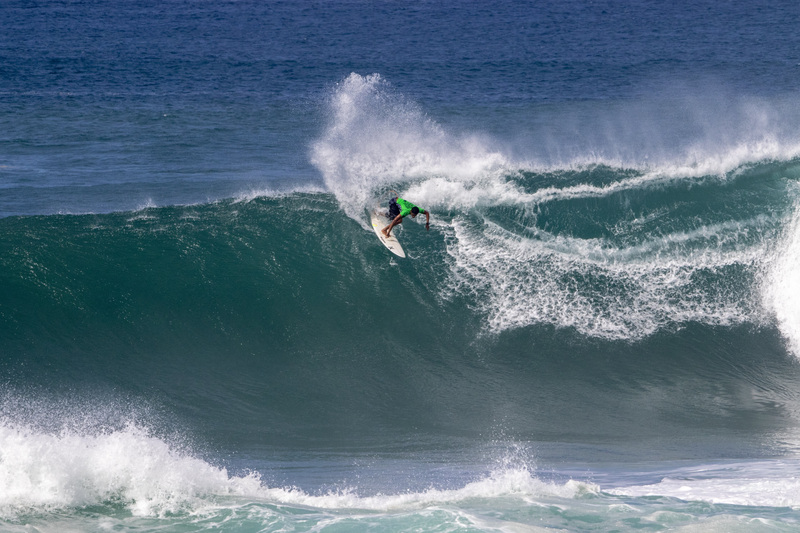 Haleiwa, Oahu/HAWAII — (Sunday, November 25, 2018) – Big Wave World Champion Billy Kemper (HAW) earned the first perfect 10-point ride of the 2018 Vans Triple Crown of Surfing today at the Vans World Cup of Surfing, after a rising swell produced solid surf for the opening day of competition. Wave face heights reached 20ft. by midday and will continue to build into tomorrow for XXL surf that will likely see wash-through sets at Sunset Beach and unmanageable conditions for athletes. This gives Kemper the opportunity to fly to Maui in anticipation of tomorrow’s Jaws Challenge at Pe‘ahi, which he won in 2015 and 2016. With eight years under his belt on the QS, McCullough will see his best ranking result by far to close out 2018 — 81st as of today — with the opportunity to better this given a strong finish at Sunset Beach. 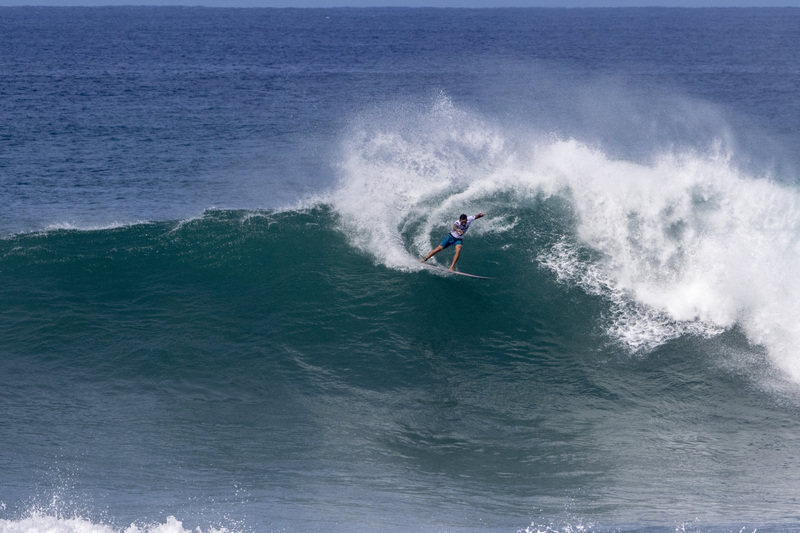 The La Jolla local tasted victory in October at the Siargao Cloud 9 Surfing Cup in the Philippines as well as podium finishes in Chile and Indonesia. 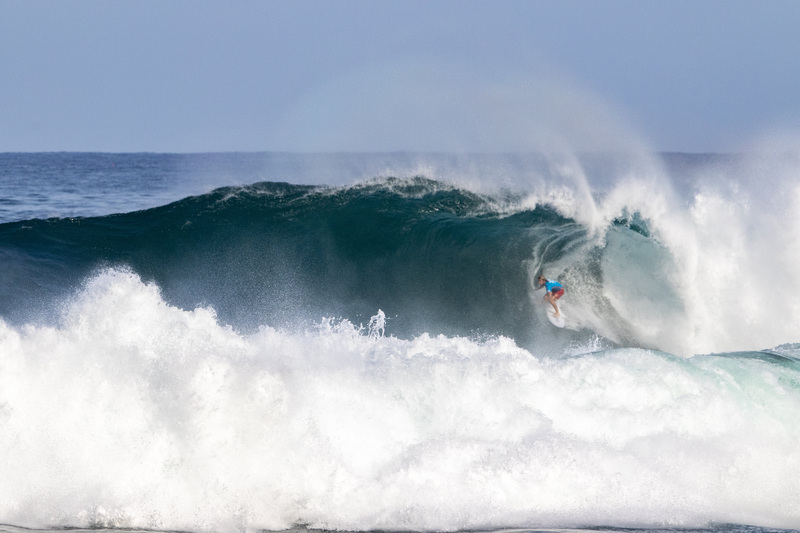 The second event of the Vans Triple Crown of Surfing, the Vans World Cup of Surfing, has a holding window from November 25 – December 6 and will take place at Sunset Beach. For more information about the event, including past champions, spectator tips, community events and more, please visit http://www.vanstriplecrownofsurfing.com/.